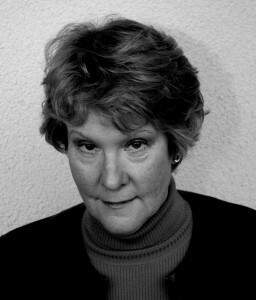 Today, I’m delighted to welcome Alison Morton back to my blog. This time she’s appearing on Virtual Book Club, a series in which I put questions to authors about their latest releases. If there’s anything you would like to know, you’ll have the opportunity at the end. Alison, the first three books in your Roma Nova thriller series – INCEPTIO (Roma Nova Book 1) , PERFIDITAS (Roma Nova Book 2) and SUCCESSIO (Roma Nova Book 3) – are set in the present day and featured Karen/Carina. In Aurealia, you have gone back to the late 1960s. Do tell us why! Well, in a way, it was a natural choice. As I was writing the first three books, my secondary character, Aurelia Mitela, fascinated me more and more. She’s not only Carina’s grandmother but also acts as her ‘wise councillor’, drawing on a long life of service to the state. What had she done as a young Praetorian officer? And what part had she played in the Great Rebellion twenty-three years before we met her, a seasoned politician and imperial advisor in Inceptio? How was she connected with Conrad, Carina’s love interest, whose family was ruined as a consequence of the rebellion? Glimpses of Aurelia’s past life in the first three books were as tantalising for me as well as for readers; several demanded to know her backstory. Well, so did I. As soon as Successio, the third book, went to my structural editor, I attacked the keyboard. Once I started dragging memories out of my head and researching in depth, I (re)discovered how interesting the 1960s had been. Like many people looking back on their childhood and young adult lives in those times, I hadn’t fully understood the transition in social attitudes, creativity and technology happening around me. Wonderful thing, hindsight. So, because it’s a prequel, it’s an excellent entry point for new readers. 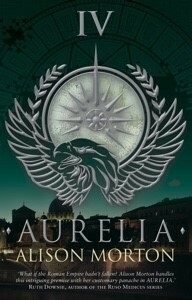 Aurelia is the fourth book in the series. Do you think this has the potential to run and run? The first Roma Nova book developed into a trilogy, then I wanted to add Aurelia’s story, so it became a series. Then I realised Aurelia has a much more complex story to divulge than I thought, so I’ve made it into a second-three book cycle within the series! The danger of expanding a series beyond its natural limit is the loss of coherence; stories have to become increasingly sensational, darker or implausible in order to bring something new to the reader – ‘plot creep’, or perhaps ‘plot sprawl’. When planning or restructuring a story into a series, a writer has to ensure he/she has a purpose to each story as well as a credible overall story arc to the series. What are the wider issues behind Aurelia? Depression – although not named in the book – threatens Aurelia. She accepts her duty to her family when her mother is incapacitated, but when forced to give up her beloved career as a soldier, she is resentful and frustrated. Bored and guilty, she works herself into the ground, and becomes quite ill at one stage. She also wonders if she’s becoming paranoid about the threat from one of the other characters and whether this is colouring her judgement. However, as we know, Roma Novan heroines are nothing if not resourceful. Aurelia isn’t a full exploration of mental illness and its power to incapacitate, but an acknowledgement that it can hit the toughest. Because, of course, it’s a story of contrasts and conflicts. And lastly, individual ‘noble’ motivation resonates with even the most cynical reader. In Roma Nova, selfless public service is expected as a matter of course, especially in patrician families like Aurelia’s. This harks back to collective survival as well as core Roman values. My heroine knows and accepts this, but the heartache caused by impossible choices between personal wishes and duty nearly tears Aurelia apart. What do you think makes a good story for a reader? As a reader, I like a story that grips emotionally and with characters who resonate with me. I like an unusual setting, whether in time, place or both, plus plenty of twists and turns and an electrifying denouement. But that’s just me. 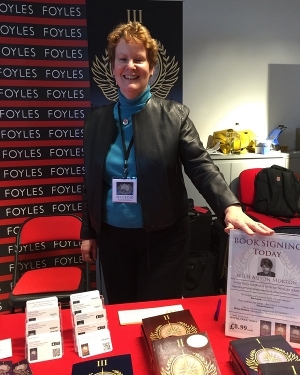 I’ve learnt that my readers vary enormously; around forty percent are male and sixty percent female, the youngest reported age is sixteen and the oldest eighty-seven! Conjuring up my ‘ideal reader’ is hard! But I’ve noticed that people want clarity, snappy dialogue, plenty of interaction, a core conflict that seems intractable, plus enough description to set the story, but not so much it weighs the action down. Characters should intrigue and get under the reader’s skin; we like to empathise with them and understand their problems and motivations, which may give us an insight into our own. You have a very loyal fan-base. 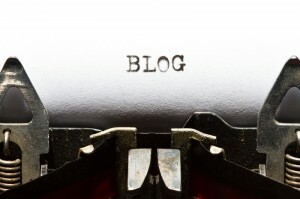 What in particular is it that your readers love about your writing? Readers tell me they are intrigued by the ‘Roman-ness’ and the more than egalitarian nature of Roma Novan society. Some want to book a long holiday there and even emigrate to Roma Nova permanently! Well, Aurelia takes them into Roma Nova’s recent past and reveals some of the mystery behind the first three books. Why do you think this makes such a great read for book clubs? Did I mention that Aurelia finds herself in the ultimate horror of choosing between her love, her child and her country? Want to find out more about Alison? Read my previous interview with Alison here. Connect with Alison on her Roma Nova blog. Find out more about what Alison enjoys reading on Goodreads. Don’t forget to post your questions for Alison in the comments box. Please remember the rules. If you enjoyed this interview please share it. And do enter your email in the side bar to subscribe to my blog if you would like future posts to be delivered straight to your inbox. You can also subscribe to my email address if you would like to receive news of my latest releases, competitions and giveaways.